If you or someone you love has been seriously injured in an accident, here at Accident Lawyer Hawaii we'll help you get your life back together again. Top Personal Injury Attorney Bill Lawson concentrates in handling serious personal injury and death claims here in the 50th State. The types of cases which are routinely handled by us include: car accidents, truck, bus, moped, and auto accidents, defective product liability claims, premises liability and fall accidents (such as slip and fall and trip and fall claims), construction site claims, wrongful deaths and fatalities, cruise ship and boating accidents (including Jones Act cases for seaman and maritime injuries), construction site and heavy equipment accidents, elevator and escalator accidents, electrical injuries, dog bites and animal attacks and insurance cases related to such claims. For more information about a particular type of claim, please see: "Practice Areas" above. 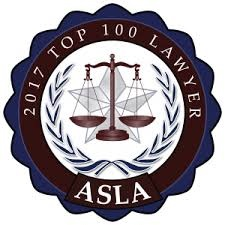 With qualifications that are Top Rated by Martindale Hubbell, AVVO and Lawyers.com, over 30 years of experience, and multi-million dollar jury verdicts at trial, our clients and peers have told us that we are one of the best personal injury law firms in the State of Hawaii. For more information, please see "Proven Results" above. For specific information about particular types of injuries which resulted from an unexpected and unwanted accident - such as traumatic brain injuries (TBI), head injuries, spinal cord injuries (SCI), paraplegia, quadriplegia, wrongful death, catastrophic injuries, broken bones, fire burns, chemical burns, drownings, or spinal disc injuries - please visit: Injury Lawyer Hawaii - Wm Lawson. And for a bit more information about a particular type of Motor Vehicle Accident, you may wish to visit our companion site: Car Accident Attorney Hawaii - Bill Lawson. Every type of accident claim has a deadline for filing the claim in court. These differ from claim to claim and from state to state. The deadlines given on this website are those applicable here in the state of Hawaii. These deadlines are generally the same whether your claims arose in Honolulu, on Maui, on the Big Island, on Kauai or elsewhere in the State. This type of deadline is generally known as the Statute of Limitations. After the expiration of this time period, the claim usually will be lost - regardless of its merits. There are various exceptions to the deadlines (minority, incompetency, etc. ), so it may still be worth evaluating a claim even if it appears that the deadline has expired. Please note that because of these deadlines, you must act promptly on any claims which you may wish to pursue.